At Timberline Tours, we believe that the river is the best classroom of all. So if you’re planning a day in the outdoors with a school group that’s large or small, we’re excited to share the adventure of rafting with your crew. 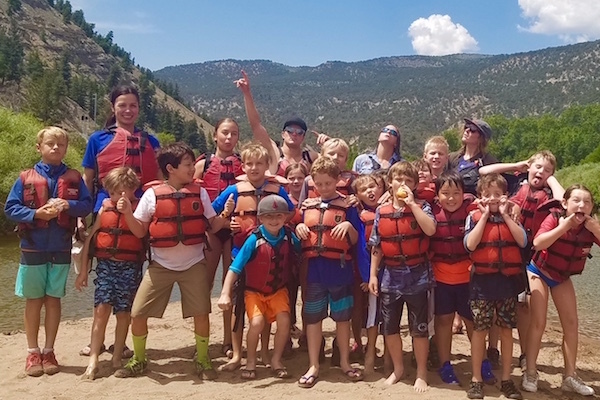 Read on to find out more about how Vail rafting for school groups is a great way to experience team-building, camaraderie, friendly competition, and more. 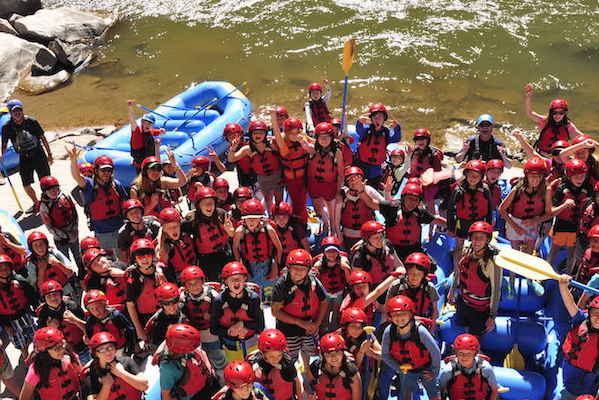 Student adventure expertise: With more than 40 years of experience guiding Vail’s rivers, Timberline Tours has established relationships with local school groups that return year after year for a safe, fun day of rafting—and even overnight trips. 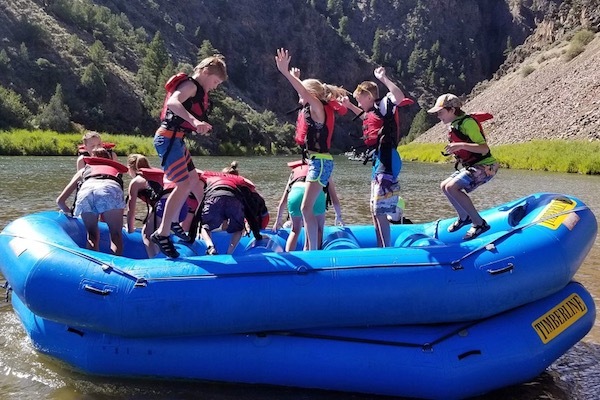 River games and activities: Timberline Tours guides love the chance to organize activities and friendly river competitions for school groups including Rafting Olympics, scavenger hunts, and other team-building activities. Group transportation logistics: Timberline can accommodate large school groups with a variety of Vail transportation solutions that include people movers, vans, and busses. Safe, professional guides: Rafting safety is an essential component of any fun and memorable trip, and Timberline’s experienced whitewater rafting guides go through regular training to keep their skills sharp. Customized itineraries: Timberline Tours also offers tailored trip options that may be a good fit for some school groups, including the addition of duckies (inflatable kayaks) on Upper Colorado River trips, catering options, and more. The Upper Colorado River is a Class II (scenic, splashy float) stretch of river that makes for a relaxing rafting float trip combined with a few splashy rapids. Snowmelt adds to the Upper Colorado River’s mild rapids from early summer, when it’s at its highest, and into the fall. Rafts are equipped with oars on Upper Colorado River trips so that guides can maneuver the boat through sections of flat water. For a school group with younger kids in the mix, the Upper Colorado River is a good choice. Since the Upper Colorado River has many smooth-flowing sections, it’s easy to bank rafts for games, activities, and learning moments along the way. Shoshone is a Class III (intermediate intensity) section of the Colorado River that’s a top Vail rafting trip for school groups. On this section of river, we’re able to launch multiple rafts in quick succession to keep large school groups together. 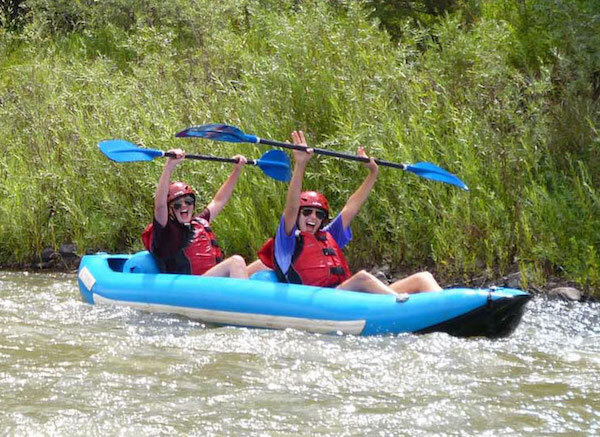 While rafting through Glenwood Canyon, students will experience some of Colorado’s natural wonders, with rock walls towering above the river and hot springs abounding in the lower section. 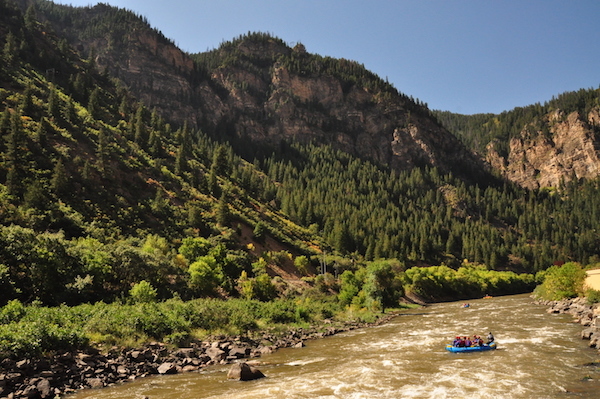 Along with amazing views, Shoshone includes a mile of rapids, followed by a calm and scenic float to the take-out in Glenwood Springs, Colorado. This stretch of river is a great introduction to whitewater rafting, and it’s fun for all ages. 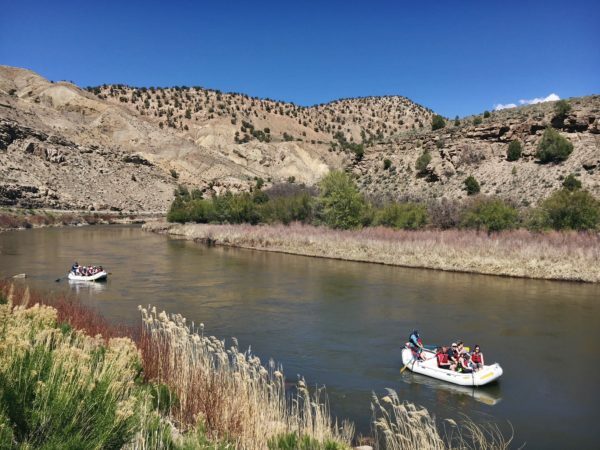 While floating Shoshone’s mild sections, school kids will be able to relax, jump in the river for a swim, or horse around having water fights with other rafts. See the Shoshone rafting page on our website for details about age and weight minimums. Duckie trips on the Upper Colorado River let student paddlers be in charge of their own watercraft or pair up with one other person. A duckie is an inflatable kayak, and those with no previous river experience will be able to learn quickly from guides how to maneuver in moving water. Duckie trips are a good choice for school group outings since they’re fun for kids who want to challenge their abilities and paddle independently. Since each duckie can only hold one or two people, this trip option is a better fit for a smaller school group. But we’re also willing to work with large school groups on custom trip options, which could include both rafts and duckies for increased adventure options. While NO HOMEWORK may be the best part of a school group trip out on the river, we hope that each student takes home long-lasting memories—and returns to join us for rafting with family members and friends in the years to come.